Hi, my name is Hannah Boast and I am an apprentice working in the City Innovation Team for Bristol City Council. Our aim as a team is to create a smarter digital future for Bristol. A wide range of projects are currently being worked on by the City Innovation team such as driverless cars, smart homes and ultrafast broadband. A project I would like to elaborate on which our team is also involved in is maintaining and promoting the Open Data platform. 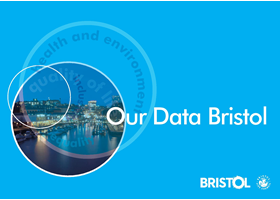 Bristol’s open data platform’s objective is to have accessible data that is widely available to the public and to organisations. By increasing data transparency it can open opportunities for discovering new insights of the city and support our digital economy. Successfully we have recently been co-ordinating data hackathons and data jams which involve gathering people who collaboratively code over a short period of time. During this attendees will be working on a particular project and the idea is for the teams to have the ability and freedom to work on whatever he/she wants. These engagements run along with contributing partners such as organisations and the data community. The data engagements can help us understand the aims of the interested public in open data and bringing in a new generation of people who can help drive and contribute to open data in Bristol. Keep up to date on any upcoming events on our Connecting Bristol website. Bristol Museum & Art gallery are currently digitalising their collection of artefacts to make it accessible to a wide range of people online. A great example is The Natural History Museum data portal it has uploaded a great deal of the museums artefacts. This gives the public access to find out more detailed information on what is held at the museum.